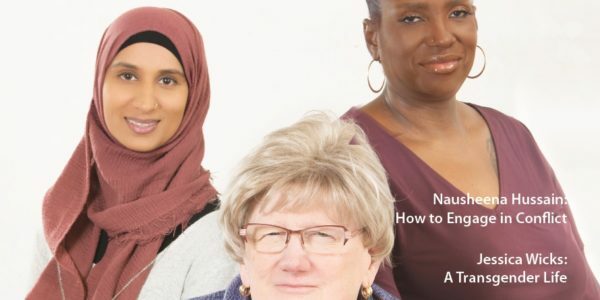 Minnesota Women’s Press is the longest continuously published feminist print new vehicle in the U.S. After 34 years as a print magazine, we are expanding into digital storytelling, in-person conversations, and solutions journalism. We are seeking partnerships with donors, grantors, investors, and sponsors, and are asking for your help. 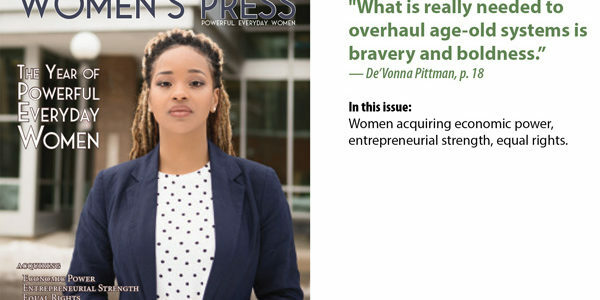 Mikki Morrissette became the new Owner/Editor of Women’s Press, starting with the January 2018 issue. Her team is executing an ambitious vision. Launch monthly sponsored MWP video and podcast, which we have begun experimenting with thanks to partners. Needed: Another full-time editor. Conversation with editor Mikki Morrissette from the 2017 crowdfunding campaign, which ended after successful start-up financing. We have a first-ever Events Development coordinator to help us create events for intergenerational and intersectional discussions. April 25, 2018: “Powerful Everyday Women,” at Chowgirls venue. Our first MWP Conversation was a success, featuring six notable storytellers and more than 100 women. Focus: how we pledge to use the power of our voice as women this year. October 16, 2018: “Using Voice & Vote,” at Carondelet Center, St. Paul. Focus: community inspiration, tools, and connection for mid-term elections and post-election lobbying. January 19, 2019: “Healing Trauma,” at First Unitarian Society of Minneapolis. Focus: what NEAR science says about the impact of intergenerational trauma, adverse childhood experiences, exploitation — and what is required for healing and restoration. April 13, 2019: “Embracing the End of Life,” at First Unitarian Society of Minneapolis. Focus: a day-long event featuring elder care specialists, end-of-life doulas, hospice caretakers, and perspectives on transition. July 2019: “Restoration.” Focus: recorded conversation with select participants about restorative justice, reparation, reformation vs. punishment (for a future deep-issue topic in MN Women’s Press). 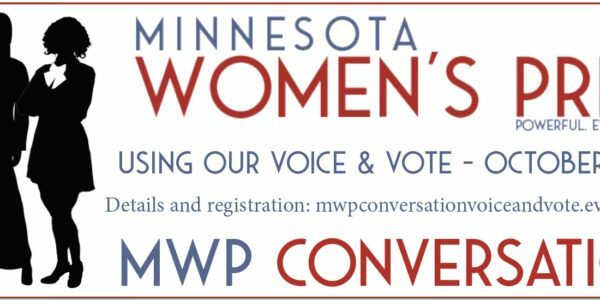 December 2019: “MN Women’s Press Changemaker Gala” and silent auction fundraiser. • For more information, about event sponsorship in 2018/2019, contact Karen. • To talk about investment or digital sponsorship, contact Mikki. • To learn more about 2018 magazine and online advertising opportunities, contact Shelly. • a commitment to fact-checking. The magazine is a for-profit vehicle (LLC). We believe in being a model of women’s work as a valued and integral part of the community, with advertisers and investors who support its mission and vision. Owner/Editor Mikki Morrissette is a long-time journalist, author and website producer. During an 18-year career in New York City, she was a multimedia project manager at The New York Times and executive editor at Time Inc. Custom Publishing. She returned to Minneapolis in 2002 and developed a website-and-workshop business around her book, “Choosing Single Motherhood.” She has given several talks about connecting community through non-linear storytelling.